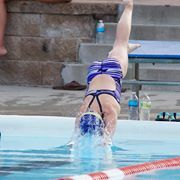 It’s going to be another GREAT year for the Rockbrook Pool Swim Team! 10:30 to 11:00 a.m. – Super Swimmers (please see information below). All swimmers must be able to swim 25 yards with little to no assistance. 25 yards is the length of the pool. Registration is $60 per swimmer. Swim team members must have a Family Membership or Trial Membership at Rockbrook Swimming Pool. Please attend the Swim Team Sneak Peak scheduled for Friday, May 3rd in Rockbrook Elementary gymnasium. Sneak peak will be held from 6:00 – 7:30p. It is the perfect opportunity to try on swim gear and place orders as well as register for swim team. Registration form and payment must be received by May 31, 2019. Make checks payable to Rockbrook Swim Team. Swim Team Dues are not refundable for any reason. Confirmation of swim team participation is up the coaches based upon criteria above. All swim meets start at 6pm. There are 3 key forms that need to be completed to register all swimmers (returning or new). These forms take only a few minutes to complete. Release Form – Please complete one release form for EACH SWIMMER. Meet Intent Form – Please complete one meet intent form for EACH SWIMMER. Check schedules and let the coaches know any conflicts you have with meet dates. 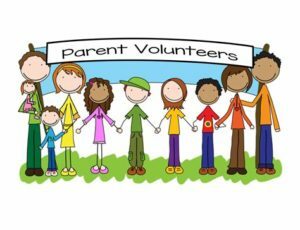 Past parent volunteers will be available to provide instruction and support of these roles. Parent support is VITAL to the success of our swim team. Please considering volunteering for these two specific roles. Our biggest ask to parents is to help volunteer. The Swim Team needs lots of help during the season, so please pitch in where you can. Please contact rockbrookswimteam@gmail.com if you are interested in volunteering for any of the above positions or below responsibilities. Amy Gurnett will be coordinating the swim suit order again this year. Thanks Amy! Stop by the Sneak Peak and get your order in for the season. You can also contact Amy at amygurnett@gmail.com.